This year DK bring back the DK R/T V2 which takes back from the original R/T fork with high quality treatment, flutted and tapered fork blades with a very interesting weight of 940grs. Fork legs are 5mm wide and have 30mm offset for better stability and steering. 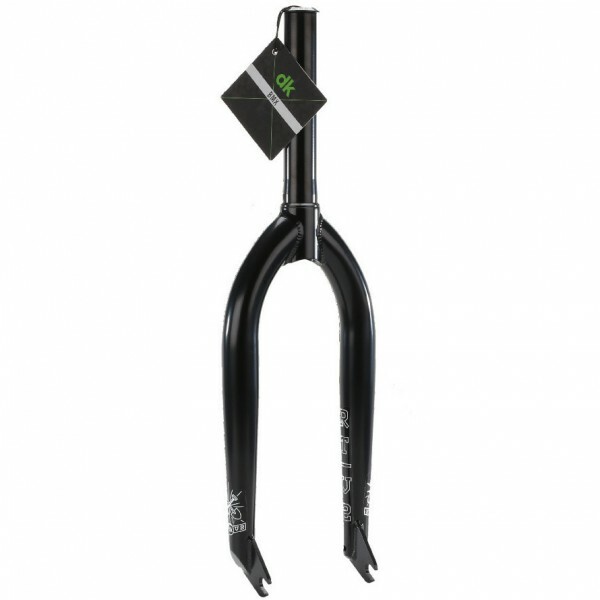 The fork steerer is in 1 piece CNC in order to have better rigidity and increase solidity. There is on it a bearing path in order to install the headset easily.